It’s becoming increasingly hard to ignore North Korea. Daily they are making the news, with yet another nuke or missile test. Few can deny that they are preparing for war. Any moment they might strike. So it comes as no surprise that the President of the United States has been speaking with the President of China. What they have decided seems inevitable. 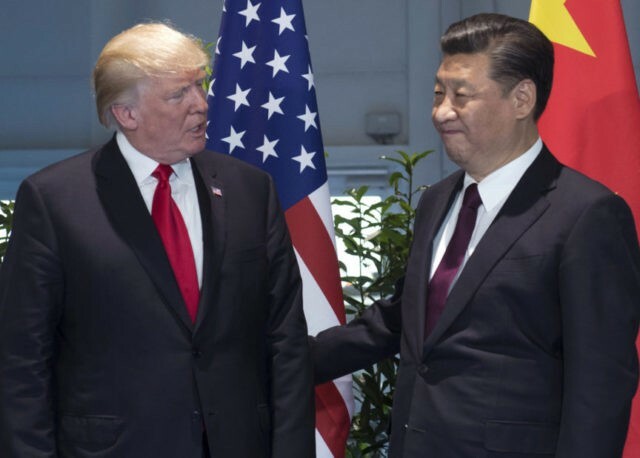 President Donald Trump spoke on the phone with Chinese President Xi Jinping on Wednesday, revealing to reporters that China claims to want to help reduce North Korea’s increasingly hostile actions. He said that the two leaders had a “very, very frank” discussion about North Korea’s increased hostility to the United States and its allies in the East. “I believe that President Xi agrees with me 100 percent. He doesn’t want to see what’s happening there, either,” Trump said. De-nuking North Korea might seem impossible. But if the rogue nation continues to pressure the United States, what other choice do we have? Every day it seems like North Korea’s leaders are threatening us and our allies. We keep learning about missile launches that are dangerously close to Japan. And, of course, there is word that they are developing hydrogen bombs. If nothing is done, we might be looking at a country ready to drop bombs on many democratic, peaceful nations. That includes South Korea, Japan, and U.S. territories. That cannot be allowed. With China’s support, enough pressure can be placed on North Korea, that they have no choice but to deescalate their plans. Perhaps we can even wrestle those nukes from their fingers.